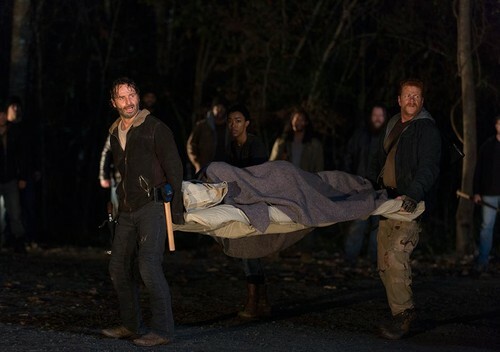 6x16 ~ Last دن on Earth ~ Rick, Abraham, Sasha & Maggie. Episode Still. HD Wallpaper and background images in the The Walking Dead club tagged: the walking dead season 6 6x16 last day on earth rick grimes abraham ford sasha williams maggie greene. This The Walking Dead photo contains بیرو, باغ کی کارٹ, لان کی ٹوکری, wheelbarrow میں, ٹھیلا, باغ کی ٹوکری, and اینٹیں.